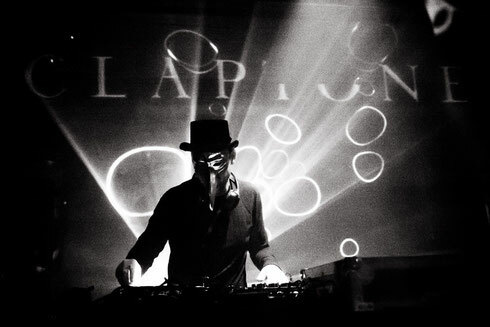 Following Claptone’s recent win as Best House DJ at the IDMA’s in Miami, he has released his latest production, a new EP entitled ‘Heartbeat’. In addition to the namesake track from his album, ‘Charmer’, the ‘Heartbeat’ EP includes Doorly’s remix of ‘Anything’ as well as a brand new track, ‘Before I Lose My Mind’, which features vocals by indie-pop outfit Say Yes Dog. The three-track release personifies him at his finest; it’s complex, relatable and evokes arcane emotions while remaining upbeat and engaging. ‘Heartbeat’ featuring Nathan Nicholson of London band The Boxer Rebellion has also received an official music video - shot in Los Angeles and directed by Edward John Drake and award-winning screenwriter Joe Brukner - that uses the archetypes of the ballet world to tell an all-too-familiar story of amorous delusion using the visual language of movement and expression. After launching his Immortal Live show last year at Melt! Festival, Ultra Miami and Australia’s Stereosonic, it will soon drop at Coachella. The show is a multi-dimensional showcase consisting of three chapters - The Past, The Present, and The Future - an audio and visual statement which combines poetic elements of ancient theatre with the modern excitement of dance music. Its aim is to immerse you in his world of mystique and catch a glimpse of the mind behind the golden beak.